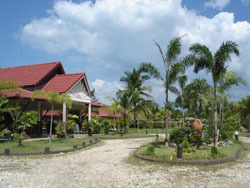 Welcome to Thai family run 'Pakarang Villa' bungalows resort, set in the quiet area of Pakarang Cape, just twelve kilometers north of Khao Lak on the Andaman Sea, in the Phang Nga province. 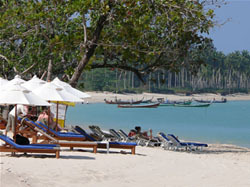 With its almost empty beaches, relaxed atmosphere and slow Thai time, there can be no better place to enjoy life. 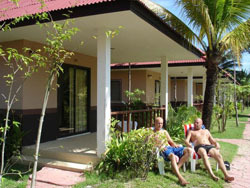 Though for the more adventurous, we can arrange a wide range of activities including snorkeling and scuba-diving at the beautiful Similian Islands or in National Park of Surin. Alternatively, heading inland to Khao Sok National Park, home to tigers, leopard cats, gaurs 155 species of birds and various gibbons. This is in addition to the rainforest, breathtaking views with their limestone crags and the many waterfalls along the Sok river. We can even arrange fishing trips with local fishermen on their own 'longtails' boats. 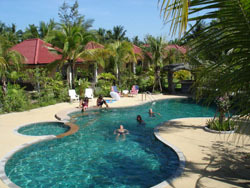 Of course full use of our swimming pool with its jacuzzi and whirl-pool together with pool-side bar and snack service. Our restaurant also offers an authentic Thai menu for relaxed evenings. 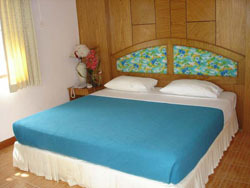 For our customers we offer free collection from Khao Lak besides large discounts for taxi services to Phuket or Takua pa.
Our rooms come with air-conditioning and have en-suite bathrooms with hot showers, though fan is also available. 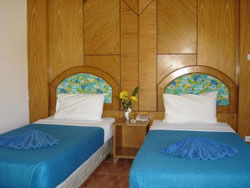 Each room has satelite television, deposit boxes and if needed room service.